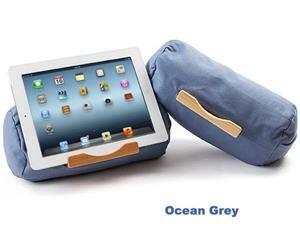 The Bamboosa Stand is our favorite iPad pillow by far. It is, in our opinion, the best iPad accessory money can buy... and the one iPad accessory that no iPad user can do without" "A must-try" "Travel companion"
Flexible : The durable bean bag design allows you to view your iPad, Kindle, any tablet or e-reader, at almost limitless viewing angles, while the eco-friendly buckwheat hulls allow your Bamboosa Stand to conform to any surface. Travel Companion : Weighing a little more than a pound, you''ll be able to easily take your Bamboosa Stand anywhere. Light enough to throw in your carry-on, going outdoors, toss it in your backpack and have a convenient and stable stand for your device at the beach or on the trail. Made in the USA : Each insert is shped, sanded and stained with the utmost care. Every bag is carefully sewn to assure long-lasting durability. Washable : A little dirt on your Bamboosa Stand cover? Simple remove wooden insert and unzip hidden zipper to dump natural buckwheat filling into a containers. Wash Bamboosa Stand cover and refill. Need more buckwheat? Call us! Eco - Friendly : 100% cotton fabric to the naturally grown buckwheathull filling, to the 100% recycled shipping materials. How do you get the wooden insert out of the Lap Log to get to the zipper? Getting the wooden insert out is very easy, although not very intuitive. You simply put the entire insert inside the pocket holding the insert, and then you can easily remove it. Once you see how it is done you won’t believe how simple it is! Here''s a helpful video! 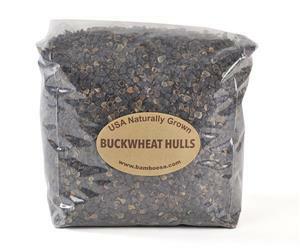 10 and 20-pound bags of premium buckwheat hulls grown and milled in the U.S.A. 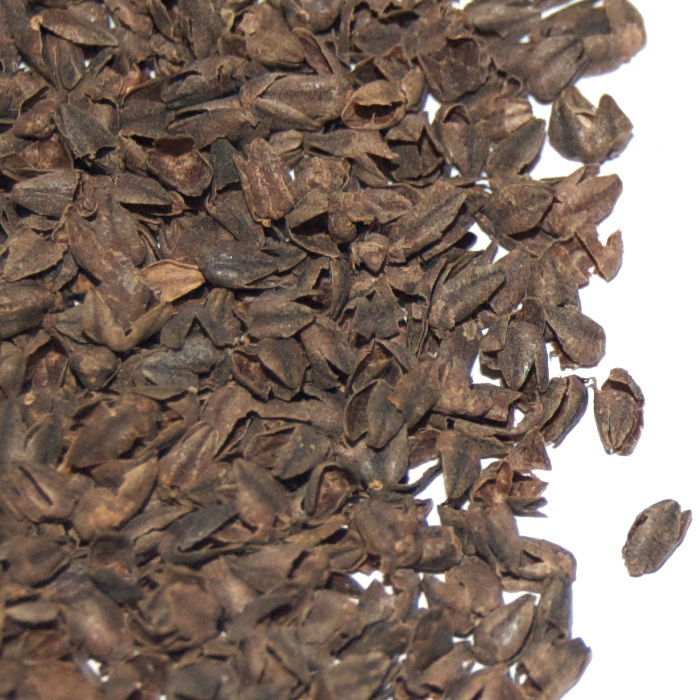 These are the same top-quality air-cleaned buckwheat hulls. With every purchase of buckwheat hulls from our suppliers, we painstakingly inspect all sources and purchase only the very best available. You can use hulls on such projects as pillow stand,neck pillows, bolster pillows, meditation cushions or stuffed animals. Buckwheat crops are seldom damaged by insects or disease and therefore can be grown without pesticides. In fact, there are no registered herbicides or pesticides for farming buckwheat (1). A buckwheat crop mellows the soil, outperforms any weeds and requires very little fertilizer (2). Therefore, organic certification is not the most significant factor involved in our crop choice. When selecting hulls we are primarily concerned with the physical quality of the hulls; they must be intact (not crushed flat). Some milling processes aren''t very gentle and will crush the hulls, making them less malleable / springy and also significantly reducing airflow through the pillow. We prefer certified organic buckwheat hulls when they’re available, but when a non-certified crop is of superior quality, we’ll select that one. The currently shipping crop is not certified, but guaranteed to be of superior quality to anything currently available in the U.S.A.
Certified organic does not indicate quality. Dirty, crushed hulls are sometimes sold as certified organic mulch. 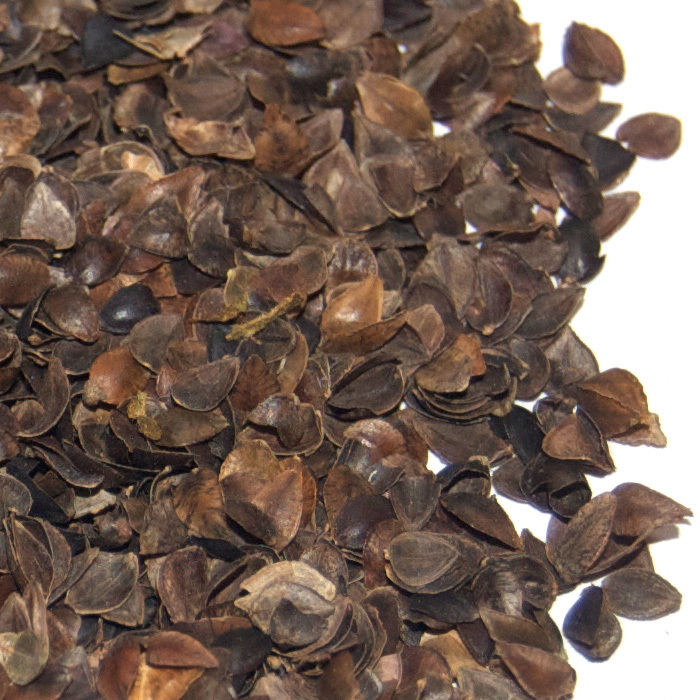 The photos below are examples of lower quality, small or crushed buckwheat hulls. These are examples of hulls that belong in the dirt, not in your pillow! Every Stand ships with a wooden insert. You may decide to purchase an extra insert or perhaps a different size to use with a different device. 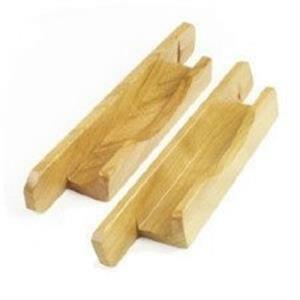 Two sizes - 1" or 1/2"
The Wood Insert - For devices up to 1" (be sure to include any cover you might be using in the measurement). Unless you have a very thick cover - the Standard Insert is going to fit almost all tablets. FREE Shipping on orders over $99+ FREE 365 Day Returns and Exchanges in the U.S.